It's another week and there's a lot of TV to talk about so let's get started. It's fair to say that ITV haven't a great year so far in terms of drama with highlights being short on the ground. Even series that had promising starts, such as Black Work, fizzled out and the much-hyped return of Broadchurch was disappointing to say the least. 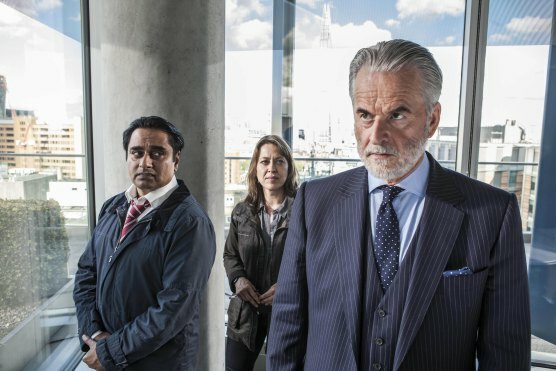 Thankfully ITV's fortunes may be changing thanks to Unforgotten, a crime drama that is already extremely compelling primarily due to a great central narrative. Unforgotten is essentially about the investigation into the identity of a skeleton that has been found buried under the cellar of a London house during a demolition. The investigation is carried out by kind-hearted DCI Cassie Stuart (Nicola Walker) who is determined to get to the bottom of who the unidentified victim is. Although this investigation makes Unforgotten sound like your average crime drama what really makes the series works are the rest of the characters who are connected to the victim in some way. Whilst we have to wait till the end of episode one to discover how these seemingly disparate characters are linked, writer Chris Lang still does a thorough job of introducing each one. I personally found the most endearing character to be Ruth Sheen's Lizzie Wilton who along with her husband (Brian Bovell) helped out underprivileged children partly in memory of their late son. The most realistic storyline involved wheelchair-bound Eric (Tom Courtenay) whose wife (Gemma Jones) was suffering from the early signs of dementia and whose sons wanted them to move into sheltered accommodation. Rounding off the quartet of engaging characters were House of Lords peer Sir Philip Cross (Trevor Eve) and One Direction loving vicar Father Greaves (Bernard Hill). One of Unforgotten's greatest assets is the amazing roster of legendary British character actors all of whom breathe life into their interesting characters. What I like about the characters is that they are drawn with shades of grey and are neither good nor bad. Even the seemingly righteous Father Greaves is presented as a domineering figure who always tries to get his own way. Tying all the stories together is that of the central investigation and the character of Cassie Stuart. Unlike other crime drama protagonists Cassie isn't haunted by a past case and neither has she let the job take over her life. Instead she seems to live rather a normal existence and sees herself as someone whose job it is to find justice for those whose lives have been taken. The brilliant Nicola Walker absolutely shines as the easy-to-like Cassie and she shares a great chemistry with Sanjeev Bhaskar who plays hers DS Sunny Khan. In fact the performances are almost uniformly brilliant with Sheen and Courtenay also giving fantastic turns in the debut episode. Chris Lang is a writer whose work I've always enjoyed however he's somebody that I always associate with intriguing two or three part stories such as the underrated The Reckoning or last year's Undeniable. I did worry that Lang would struggle to craft a six part series but instead it seems that it's allowed him the chance to present a properly paced programme. So far, Unforgotten's plot has been well laid out and I never once felt that the details were being rushed with Lang giving us time to get to know the characters before involving them in the central crime plot. Whether he can keep up this pace remains to be seen but if the rest of Unforgotten is as good as the dazzling opener then I can confidently say that it will be in my list of the best British TV dramas. A programme that I won't be able to say the same about is BBC One's latest Sunday night drama From Darkness which does have a lot in common with Unforgotten. Both dramas feature female protagonists, both have central storylines involving the discovery of long-dead bodies and both stories include characters who have to face demons from the past. But whilst Chris Lang's characters in Unforgotten feel well-rounded and realistic, Katie Baxendale's drama eventually lapses into cliché after a very promising opening twenty minutes. 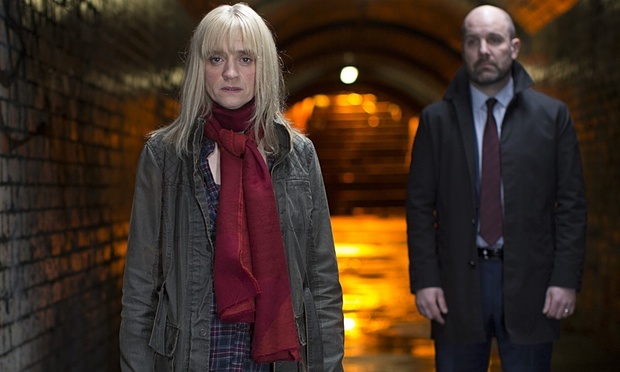 I have to say that I was initially intrigued by the premise which saw DCI John Hind (Johnny Harris) go to the Western Isles to recruit his old colleague Claire Church (Ann-Marie Duff) for help on his latest case. The case involves the discovery of the bodies of several dead prostitutes who Claire was trying to protect prior to her leaving the police force in the late 1990s. Baxendale lets us know that Clare is running away from her past by literally running along the beautiful island beaches whilst being haunted by various grizzly flashbacks. Although Claire eventually agrees to help John their relationship is strained at best due to the fact that they previously had an affair which crumbled after he didn't leave his wife. The friction between Claire and John leads her to accuse him of being a cliché which is rich coming from a character who is a walking talking crime stereotype. In fact the only interesting character in the piece is John's colleague DS Boyce (Luke Newberry) who faints at the site of blood and is trying to lose weight for his upcoming wedding. However Boyce all but disappears after the first third of the episode and instead the episode is populated by rather dry discussions between Claire and John. Although I think Harris and Duff try their best with the material, From Darkness offers nothing that we haven't seen done before and better elsewhere. Crucially there was nothing about the first episode of From Darkness that made me want to come back for more and instead it felt like just another depressing crime drama. Lightening the mood now we focus on three comedies that all aired on what I would describe as the younger channels on Tuesday night. We start with Together, which is written by and stars Johnny Sweet; a performer who up to know I hadn't really rated which made this charming sitcom all the more surprising. Sweet plays Tom a rather kind-hearted if foolish guy whose sister (Katy Wix) is constantly setting him up on blind dates which go rather badly. During the episode Tom keeps encountering Ellen (Cara Theobold) a rather outspoken young woman whose ex-boyfriend Luke (Jaz Deol) is constantly trying to win her back. The problem with the first episode of a romantic comedy series is that we have to sit through a number of missed opportunities before the central couple hit it off. The missteps in the first episode of Together include Tom seeing Ellen naked at a life drawing class and later encountering a rather saucy couple as he tries to gatecrash a party she's attending. Although Sweet crafts several awkward moments during the episode they never feel embarrassing and rather surprisingly most of them ring true. Sweet is helped by the fact that the script has been edited by Tim Key and Jeremy Dyson who have obviously aided in the general flow of the comedy therefore no scene outstays its welcome and almost every moment is played for laughs but at the same time the central relationship is never forgotten. In their handful of scenes together I felt that Sweet and Theobold had natural chemistry and I found the final scene particularly touching. However the majority of the highlights in this first episode came courtesy of Vicki Pepperdine and Alex McQueen as Tom's well-meaning parents. McQueen's soliloquy about the right temperature in which to serve rhubarb yoghurt was especially hilarious as were Pepperdine's attempts to dispose of her on-screen husband's junk. Even though Together never blew me away, I found it to be a charming sitcom full of promise and one that I'm definitely going to stick with for the time being. A sitcom that I've stuck with sporadically since its inception is The Job Lot, which returned for its third series this week. The Job Lot certainly had a shaky start when it debuted back in 2013 primarily due to it being coupled with the woeful Vicious on prime time ITV. However it was rehabilitated last year thanks to a refreshed look, an anarchic vibe and a new channel in ITV2. This first episode was built around a rather traditional gag in which Karl (Russell Tovey) thought girlfriend Natalie (Laura Aikman) was pregnant even though it was Trish (Sarah Hadland) who actually suspected she might be having a baby. Although the misheard rumour is quite a well-worn comic trope I felt the writing team more than pulled it off thanks to the way in which each gag was timed. The sporadic use of the sociopathic Angela (Jo Enwright) also helped to break up the main plot with the job centre's most picky employee later becoming involved in Trish's story. Apart from the snappy writing, what makes The Job Lot work so well is the cast and in particular the three leading players. As Karl, Russell Tovey exceeds at playing the beleaguered everyman who feels that he should be in a better job despite making no attempts to leave his current employment. Meanwhile Sarah Hadland is fantastic as the hyper Trish who stumbles from one crisis to the next with this series seemingly seeing her want to have a baby. But for me The Job Lot has always been about Angela, a brilliant comic creation whose actions, though often cruel, feel oddly believable. Despite its appearance on one of the younger channels I feel that The Job Lot is a traditional sitcom masquerading as something a lot edgier. Whilst this isn't a bad thing I feel nothing about the episode was particularly memorable and most of the gags were pretty easy to guess. Thankfully this is a series with a fantastic cast and therefore, if it continues to find an audience, I can definitely see The Job Lot returning for another series. A sitcom that didn't really find its feet in the first episode was E4's Chewing Gum and I personally struggled to get to grips with the uneven tone that the sitcom presented. 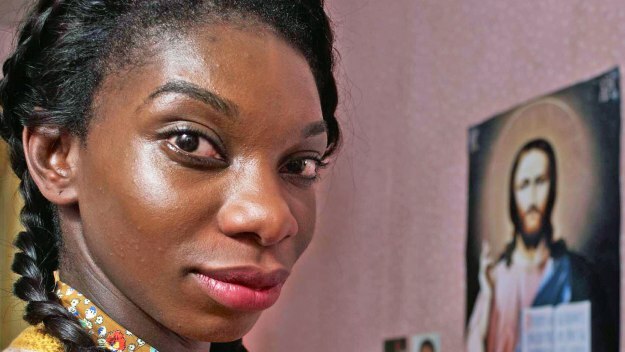 One thing that I did like about the show was the narration by the show's writer; award winning playwright Michaela Coel, who also took the leading role of Tracey. The first episode of Chewing Gum saw 24-year-old Tracey try to loose her virginity to boyfriend of several years Ronald (John MacMillan). The audience can see early on that Tracey is a kindly, if rather horny, soul whilst Ronald looks down his nose at his common girlfriend. Tracey's efforts to seduce Ronald are later rebuffed and leave her temporarily heartbroken until she realises what an idiot her now ex-lover was. It's also rather obvious that Tracey will soon end up in the arms of rubbish poet Connor (Robert Lonsdale) who has several encounters with her during the first episode. I do think that my problems with Chewing Gum mainly stem from the fact that I'm not part of the key demographic. Although I found Tracey a likeable protagonist everything about the central story felt rather predictable and there were very few laughs littered throughout the episode. The supporting characters were also thinly drawn especially in the case of Tracey's new love interest Connor and her abrasive friend Candice. Talking of Candice, the subplot which involved her trying to get her boyfriend to be rougher with her in the bedroom just didn't work for me. Furthermore it felt like it had been tacked onto the episode after Cole realised that the central story wouldn't fill up twenty-two minutes on its own. Ultimately Chewing Gum was the least funny of the three sitcoms airing on Tuesday night and it's one that I feel will struggle to find an audience. However I do feel that Cole is a star in the making and so I hope she isn't tainted by the mediocre Chewing Gum as I'd like to see more from her in the future. Finally we come to what was my TV highlight of the week as we said goodbye to all the characters we'd grown to love in This is England '90. Shane Meadows had a lot of work to do to give all of his characters satisfying endings but for the most part he pulled it off. After putting the franchise's central couple Woody (Joe Gilgun) and Lol (Vicky McClure) through tons of heartbreak it was nice to see them being rewarded with a happy ending. In fact for the most part Gilgun and McClure were given a rather comic final episode as plans for their wedding dominated their time. However the wedding gave Lol the chance to finally have a heart-to-heart with her sister Kelly (Chanel Cresswell), who had been on a downward spiral since this series began. Meanwhile This is England's original protagonist Shaun (Thomas Turgoose) was given his own happy ending as he found a love of photography and a new girlfriend to boost. 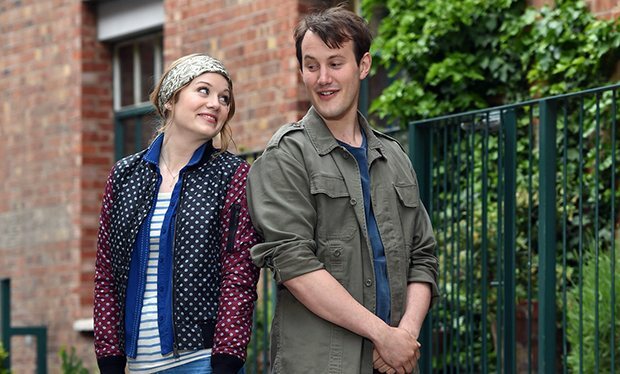 One of the minor quibbles I've had with this series is the lack of appearances from Smell (Rosamund Hanson) whose presence at Lol and Woody's wedding made me realise how much I'd missed her. As she was one of the characters that dominated previous series, I think Smell deserved a little more than a small argument with Shaun's new girlfriend. However the biggest story in this final episode revolved the return of Combo (Stephen Graham) and his first face-to-face meeting with Milky (Andrew Shin) since the first This is England film. The scene involving the two characters was absolutely electric with Shin and Graham both on form with the ending of the scene being both shocking and rather inevitable. Even though most of us could probably guess what happened to Combo, there was no concrete proof what his ultimate fate was and I think this is rather odd given that this is the final ever chapter of the This is England story. However I do still think that on the whole Meadows has given his beloved characters a fitting ending and it was great to leave most of them enjoying life rather than enduring even more suffering. That's your lot for now remember you can always follow me on Twitter @mattstvbites and I'll see you next time.